The Golandsky Institute’s 2015 symposium at Princeton University was yet again a hugely inspiring (and intense!) week of learning. Each year, the growth across the board is significant, from the increased clarity of the pedagogy and impressive standard in the presentations, to the returning participants who have noticeably improved since the previous year. Perhaps what I found most moving was witnessing the continued development in the wonderful performers we have the privilege of hearing each year in the evening concerts, such as Ilya Itin and Father Sean Dugan. Despite achieving high levels of artistry prior to studying the Taubman Approach, their commitment to continued development is extraordinary, as are the results. Fr Sean’s heroic performance of the mighty Hammerklavier sonata was an unforgettable evening. I’ve returned home with a barrage of new skills and understanding to share with my somewhat neglected students, many who were well overdue for a lesson. Several who are in the retraining process arrived looking worried, already eyeing the clock and calculating how to begin prioritising five weeks of questions. Despite the long lists of niggling problems and questions, a recurring theme was that the last instruction was taken too far, and through exaggeration, caused problems that then infiltrated throughout. One example was a student who had not long ago corrected being balanced backwards, to find a new balance with the torso brought comparatively forward over the playing fingertips. A month without feedback had led her to become even more forward to the point of feeling off-balance, with fingers gripping tightly to keep her on the keyboard, and accompanying back pain. Another had recently focused on avoiding curling, and the non-playing fingers became (predictably) far too straight. This over-extension caused the fingers to be further in the black key area than necessary, creating uncomfortable stretching in even relatively small chords. For both these students, the exaggeration was quickly addressed once identified, and they were able to see that many of the trouble spots on their long lists were actually the same problem. As Edna Golandsky often warns, it is a common tendency to cling to the last piece of information we received, at the expense of everything else we have learned. Few of us are skilled at holding and prioritising multiple threads of information simultaneously in our mind. Having experienced the most recent wonderful change to our playing, we look for the same novel sensation in our practice, and begin exaggerating in search of that “high” of the new. I often use the example that while a little bit of olive oil is great, drinking a litre is not recommended. 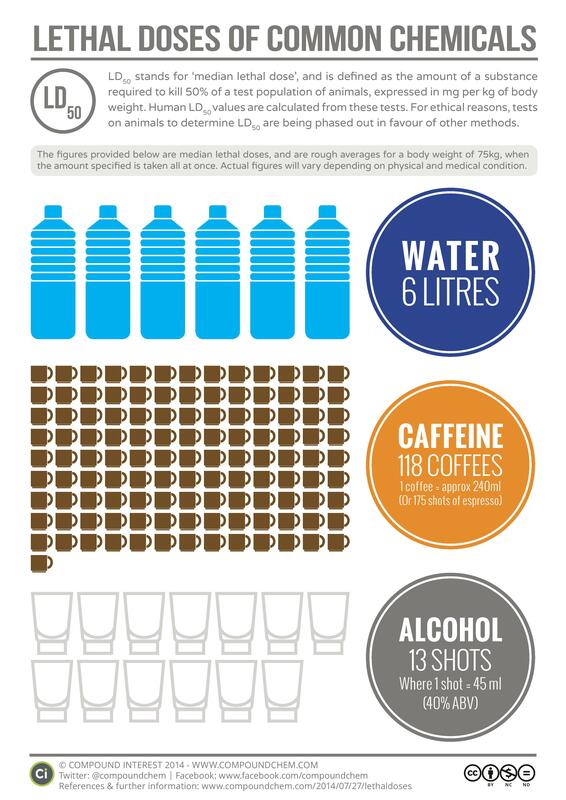 As you can see from the diagram attached, even drinking water is lethal in large enough doses. Once we realise where we have gone wrong, we are surprised and annoyed to have fallen for this old trap again, yet this phenomena is universal. As the technique becomes more embodied and the learning deepens, any deviations off-track are tiny and quickly corrected, as one gains a deeper understanding of context and proportion of the many elements underneath a coordinate technique. We can be on alert for what to expect in the learning process, and be ready to recognise when one has too much of a good thing.